A lymphocyte is a type of immune cell that circulates around the body waiting to encounter an antigen (a molecule that can induce an immune response i.e. bacterial proteins) and then mount an immune response against it to clear it. They are divided into T lymphocytes and B lymphocytes. They need the help of cells called antigen presenting cells (APCs) to basically show them the antigen, hand it to them and say here it is, get rid of this please. Once they recognize their antigen, they divide and initiate a specific mechanism to attack the foreign invader. Lymphocytes come from the bone marrow. However, only B lymphocytes are educated and mature here. T lymphocytes must travel to the thymus to mature. It is here that they are taught to recognize self (our own cells/antigens) from non-self (viruses, bacteria etc.). This is where it gets real interesting! With regard to T lymphocytes, they have travelled from the bone marrow to the thymus, have developed their receptors and now must undergo positive selection. The main function of this stage is to make sure that the T lymphocytes with their newly formed receptors are capable of interacting fittingly with APCS. This means that if they can work with APCs in the thymus, they can do so in the circulation. The cells are shown some self-antigen from the thymus by APCs. If they don’t recognize the self-antigen shown by APCs, then they are essentially useless as this means the T lymphocyte-APC interaction is too weak and they wouldn’t be able to recognize a microorganism shown to them by APCs in the circulation. Therefore, these T lymphocytes are given a death signal. However, if they interact with the APCs appropriately, and not too strongly, they move on to mature. It is interesting to note that much of lymphocytes fail this first stage and die off. The surviving T lymphocytes now enter negative selection. Here, they will be shown self-antigen again with the aim of eliminating those that react with self-antigen. This time they will be shown self-antigen from all over the body not just the thymus, this is driven by a factor called AIRE expressed by the APCs in the thymus. A T lymphocyte that reacts too strongly will these self- antigens will be given a death signal. 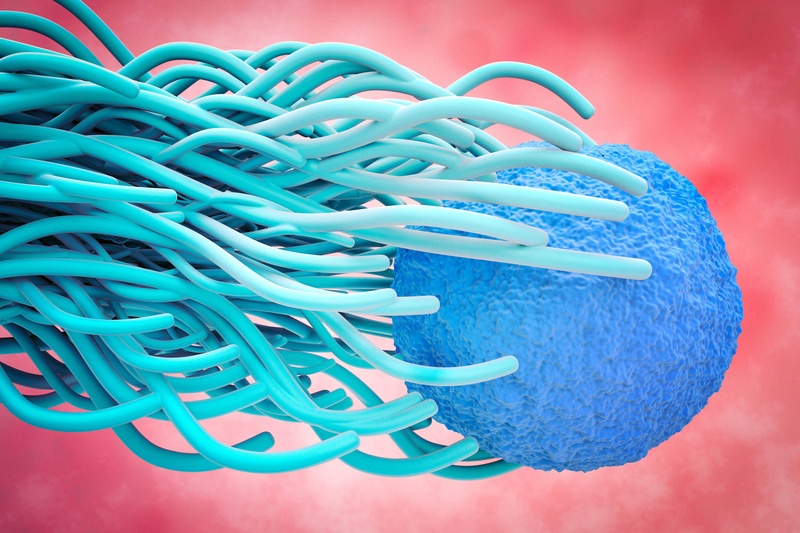 In a normal situation, the T lymphocytes that don’t over react to self-antigen are now a friend and can leave the thymus and enter the circulation to go about their business fighting infection. However, sometimes when AIRE doesn’t work (one of a number of other factors), T lymphocytes that react too strongly to self-antigen can escape this process, potentially causing autoimmune diseases that essentially attack our own healthy cells. The self-reactive cells enter the circulation and when they recognize the self-antigen, they initiate an autoimmune response against that antigen (could be a protein or tissue!). Essentially, they are mistaking a part of our body for a foreign invader. This attack on our own cells can negatively affect the function of that protein or tissue. Importantly, these diseases can often be treated with anti-inflammatory and/or immunosuppressive drugs that dampen the immune response. The immune system functions to protect us from foreign invaders and we often don’t realize all the hours it puts in to ensure we don’t attack ourselves. It’s truly impressive how intricate the immune system really is; how a defect in AIRE (amongst other factors) could result in the development of an autoimmune disease allowing rogue T lymphocytes to escape negative selection and become a fully-fledged foe. Are you looking for biology tutoring in New York, Cambridge, or online? Gunning for more blogs on the subject of biology?